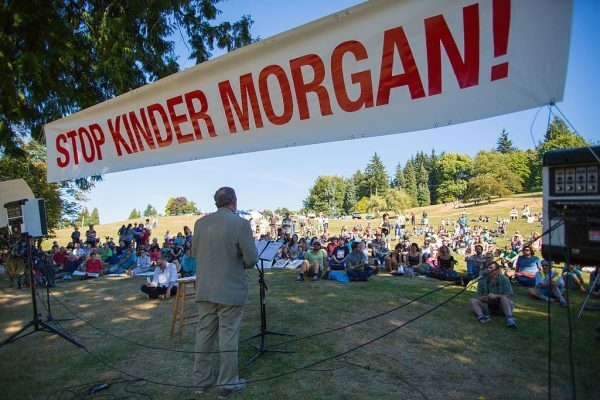 Burnaby Mayor Derrick Corrigan speaking at a 2014 anti-pipeline rally. Photo: Mark Klotz under creative commons licence. The Trans Mountain Expansion pipeline project does not have to comply with City of Burnaby bylaws, according to the National Energy Board, which issued its decision Thursday afternoon. The federal regulator says it will provide reasons for the decision at a later date. Burnaby demanded Trans Mountain obtain preliminary plan approvals and tree cutting permits for project-related work at Trans Mountain’s Burnaby Terminal, Westridge Marine Terminal, and at a nearby temporary infrastructure site. The NEB held a two-day oral hearing in Calgary on Nov. 29, 2017 and Dec. 4, to consider Trans Mountain’s request. The decision allows the company to begin work at its temporary infrastructure site near the Westridge Marine Terminal, and some work at the Burnaby Terminal, subject to any other permits or authorizations that may be required, the NEB says. Rachel Notley answering reporters questions after Vancouver Board of Trade speech, Nov. 30, 2017. Photo: Energi News. Alberta Premier Rachel Notley welcomed today’s ruling. “It gets us another step closer to shovels in the ground and more markets for our energy resources – something that benefits each and every Canadian. 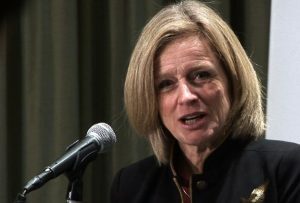 There is a not a school, hospital, road, bus, bike lane or port anywhere in the country that does not owe something to Alberta’s energy industry,” she said in a statement. This pipeline comes with a world-class coastal protection plan, and the resources it carries will be produced under the strongest climate change action plan in Canada, if not all of North America, according to the Premier. “We are going to continue to make sure that the moderate, progressive majority of Canadians knows why this pipeline matters,” she said. 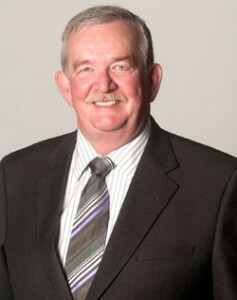 Burnaby Mayor Derek Corrigan, who has opposed the 525,000 b/d pipeline project from the beginning, expressed his displeasure with the NEB’s decision in a press release. “We believe that this is an abuse of federal powers, and City staff are shocked by the NEB’s decision, as City staff have been reviewing Kinder Morgan’s construction applications in good faith, focusing both on citizen safety and mitigation of environmental damage,” he said. 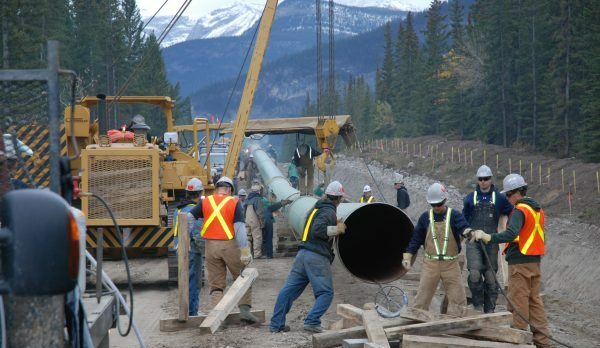 The Canadian Energy Pipeline Association says the decision is within the NEB’s jurisdiction and is a positive and necessary step in advancing an energy infrastructure project that is “critical” for Canada. “The Trans Mountain project in the national interest and is essential to the Canadian economy. 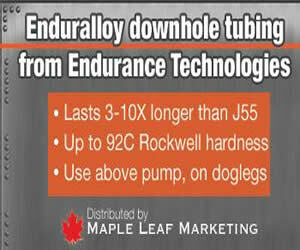 The pipeline will deliver significant benefits to Canada, including thousands of jobs and billions of dollars in government revenue and economic spin-offs,” the industry association said in a press release. 2 Comments on "Trans Mountain Expansion given permission by NEB to ignore City of Burnaby bylaws"